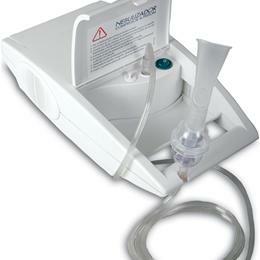 Aeromist Epic Nebulizer/Compressor: Aeromist Epic Is Designed With A Durable, Piston-Style Compressor And Provides Treatments At 30-35 Psi And 9 Lpm. It Features A Thermal Protector Which Helps Prevent Overheating. Weighing Only 4.5 Lbs., With Electrical Requirements Of 110 Volts And 60 Hz, It Can Be Used Safely Just About Anywhere. 3-Year Warranty.